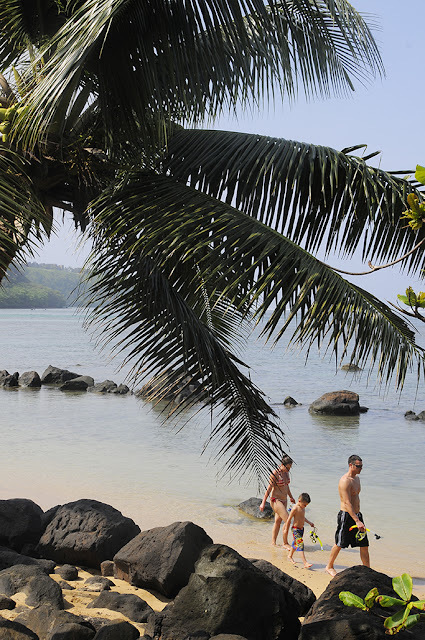 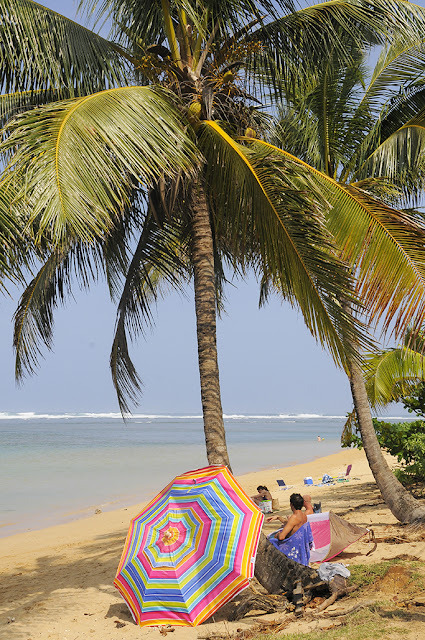 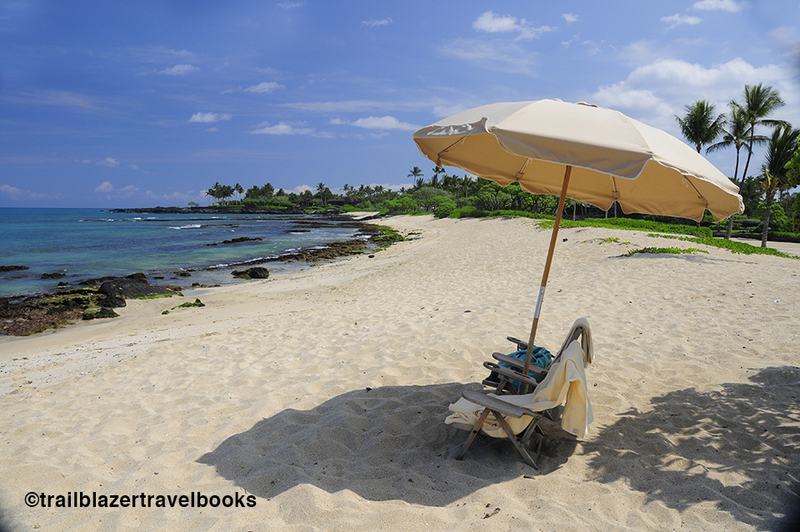 With two miles of reefed-protected sandy beach, backed by a garden of palms and leafy trees, Anini Beach is for sure among the best family beaches in Hawaii. 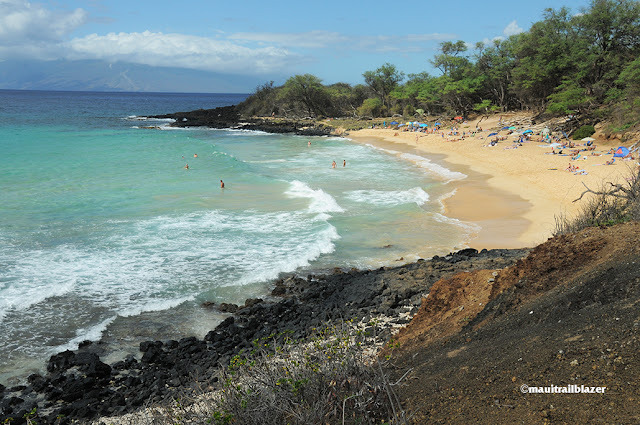 It's on the tourist radar, but never feels crowded, and it's easier to get to than many of the north shore's wild beaches. 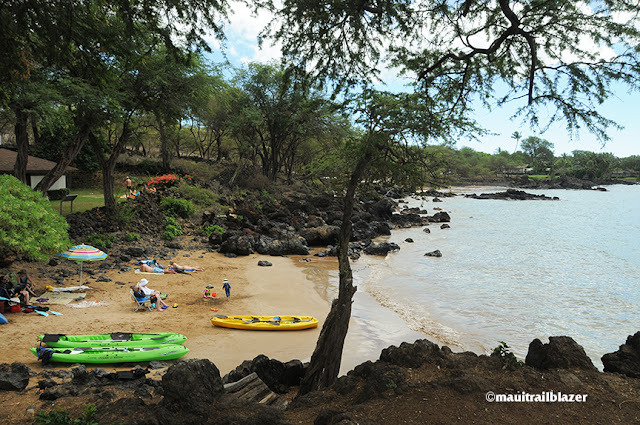 No shore break (you can see the waves hitting the reef above) means an easy-entry for snorkeling, paddle-boarding, and kayaking. 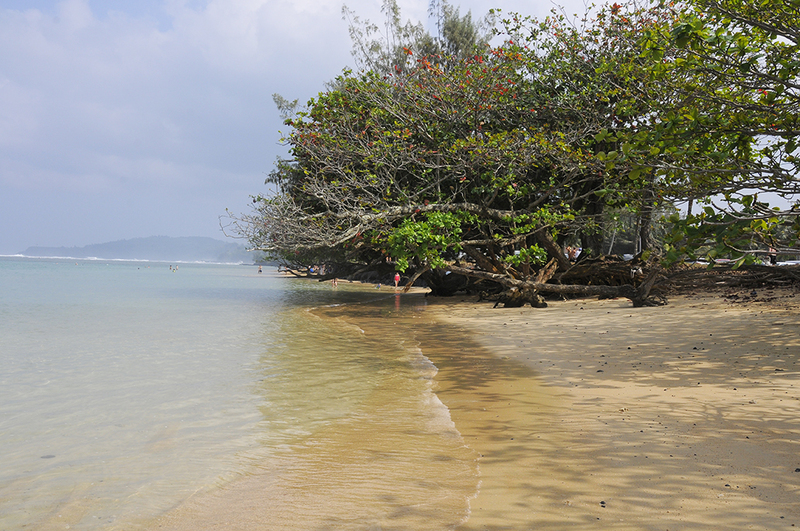 Windsurfers and kite-boarders also launch here. 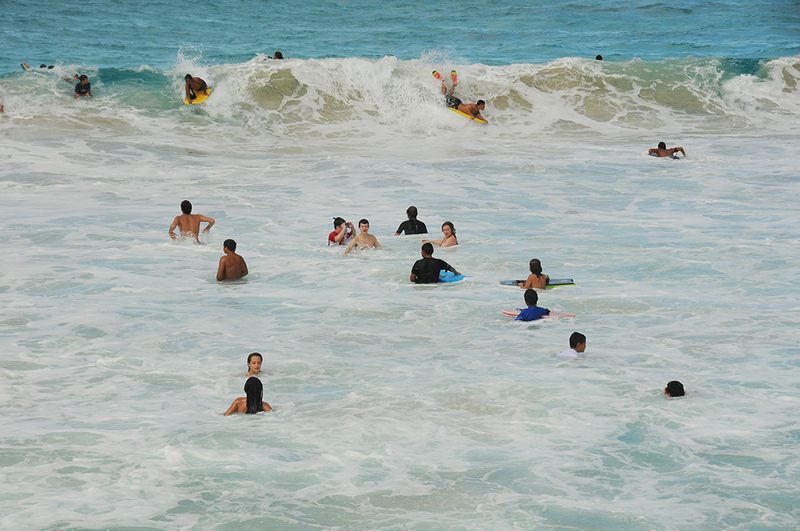 Be Aware: The incoming wave water has to get back out somewhere. At Anini, two blue channels, like outgoing streams, can sweep swimmers out. Kauai Trailblazer (see below) has the specific location for these channels. 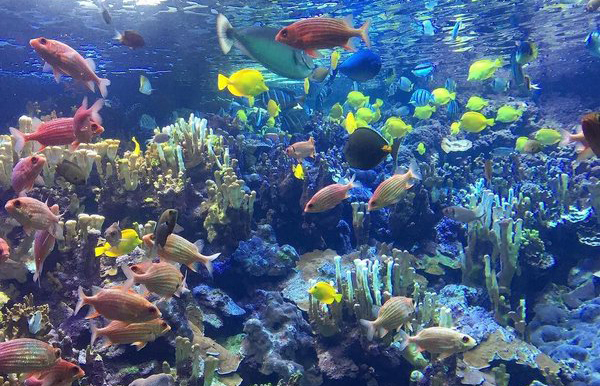 If you get caught in one, swim sideways, not against the current. 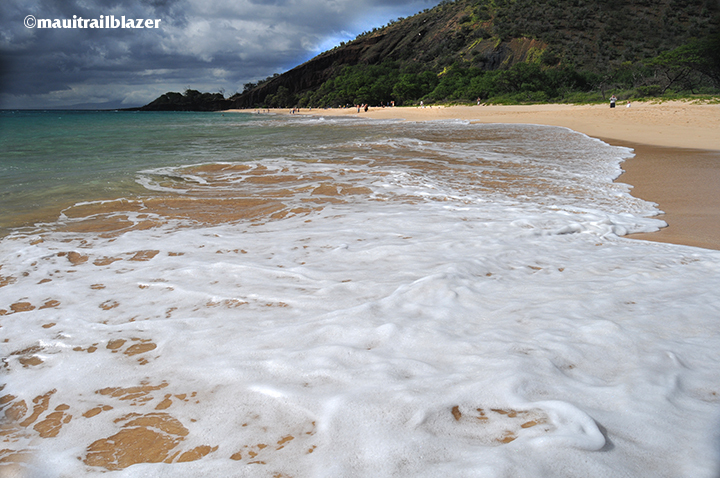 The force of the water dissipates at the reef. 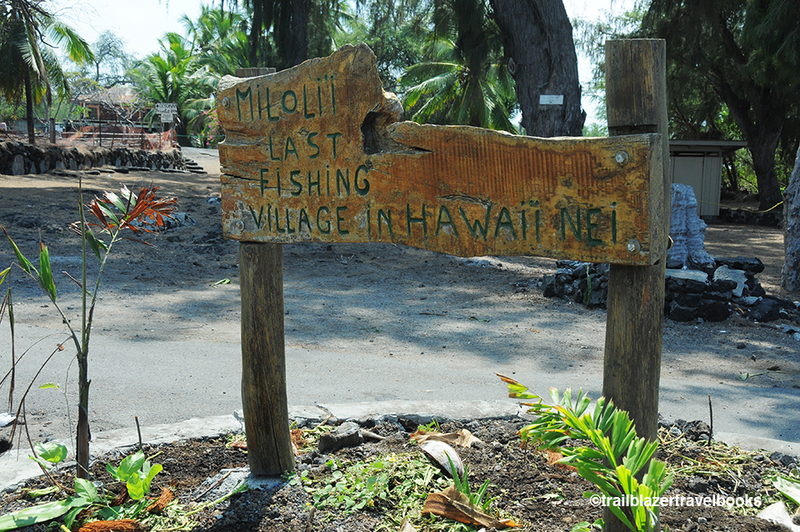 The far end of Anini is called Wyllies Beach. 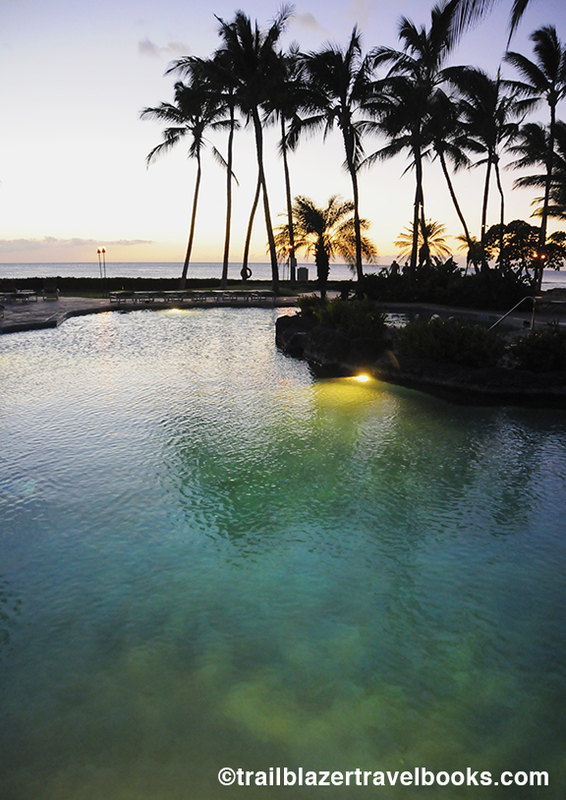 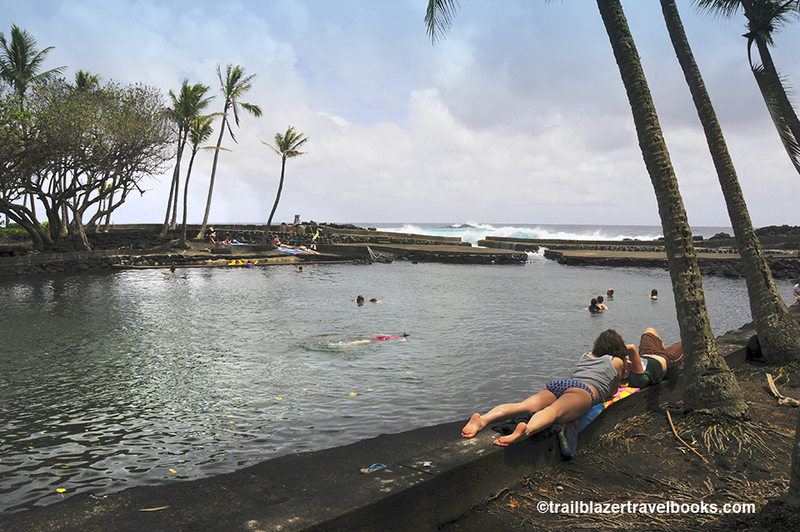 The near shore rocks create an excellent pool for family swimming, but stream runoff means less coral and fewer fish for snorkelers. 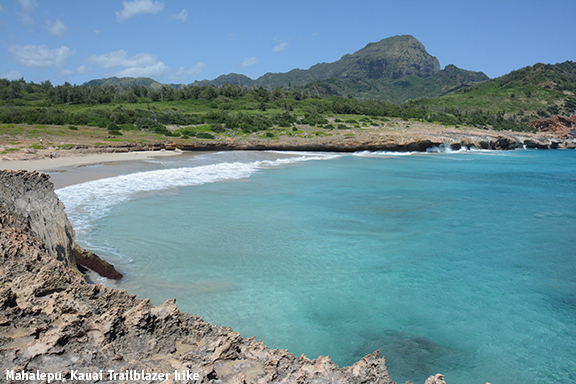 Hot tip: You can take a short trail from Princeville down to this end of the beach. 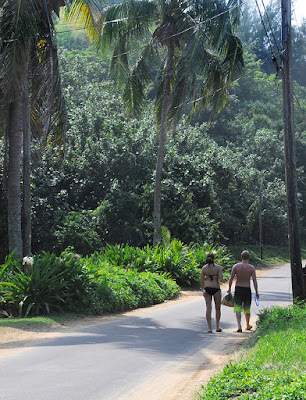 On the opposite end from Wyllies (the part you get to first when driving down) are several shoreline access paths between high-end beachfront homes. This end is the chill zone. Bring a book. A picnic area and campground are in the center of things. 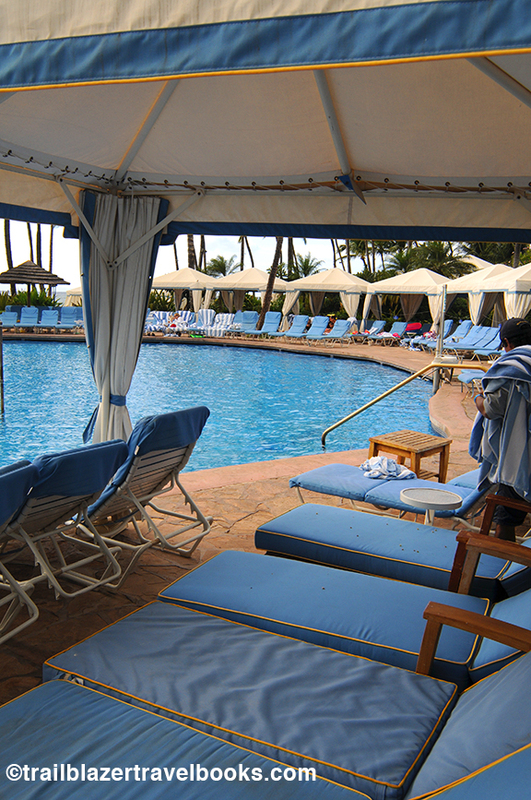 A polo field (that's right) is across the street. Pedestrians have little to fear from cars, unless they space out and walk into one. 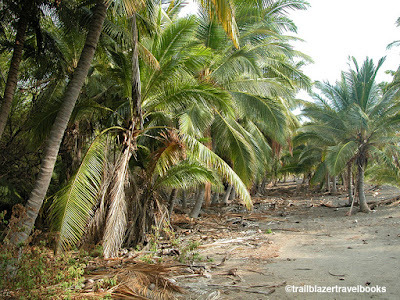 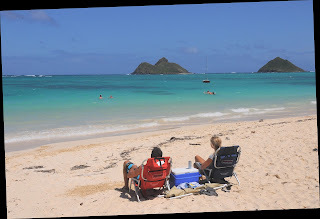 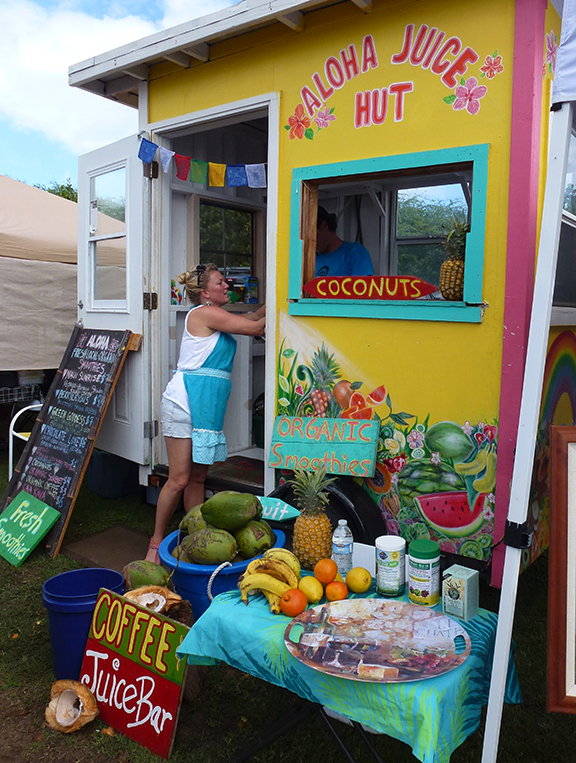 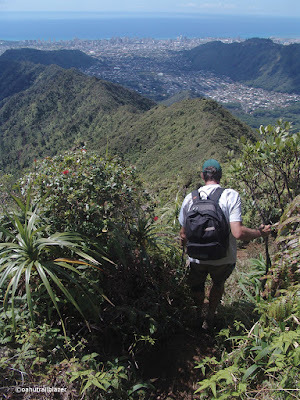 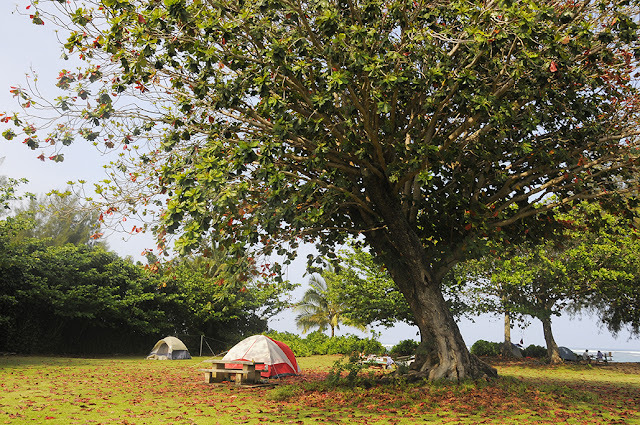 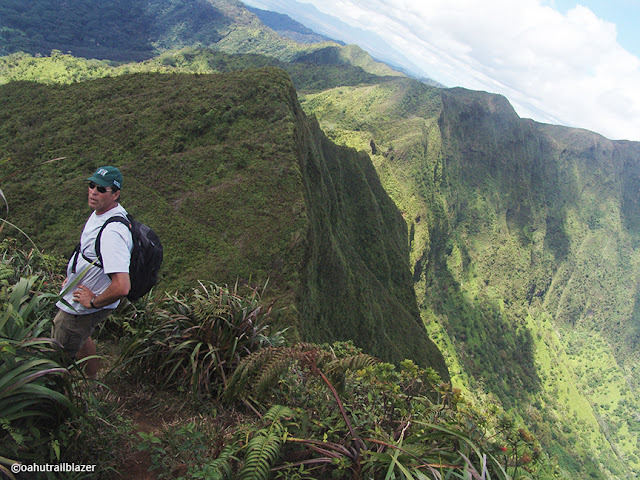 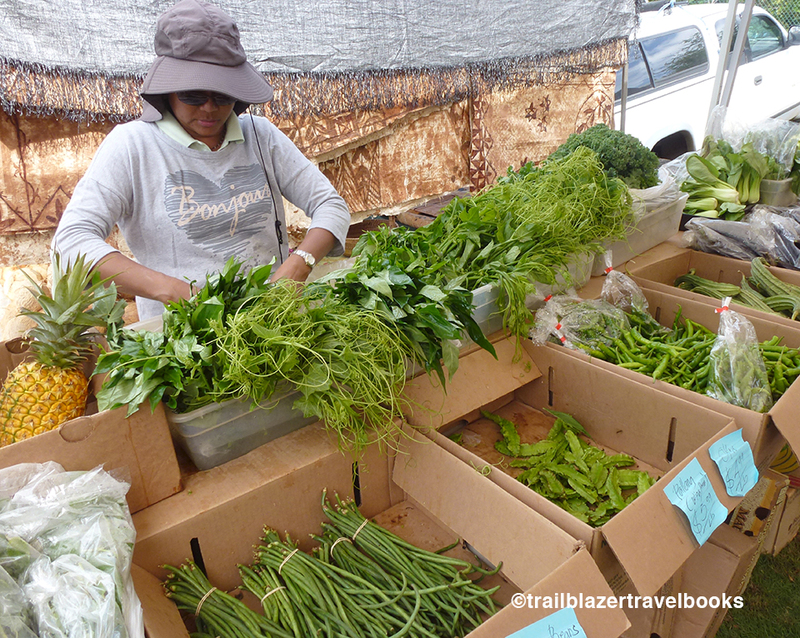 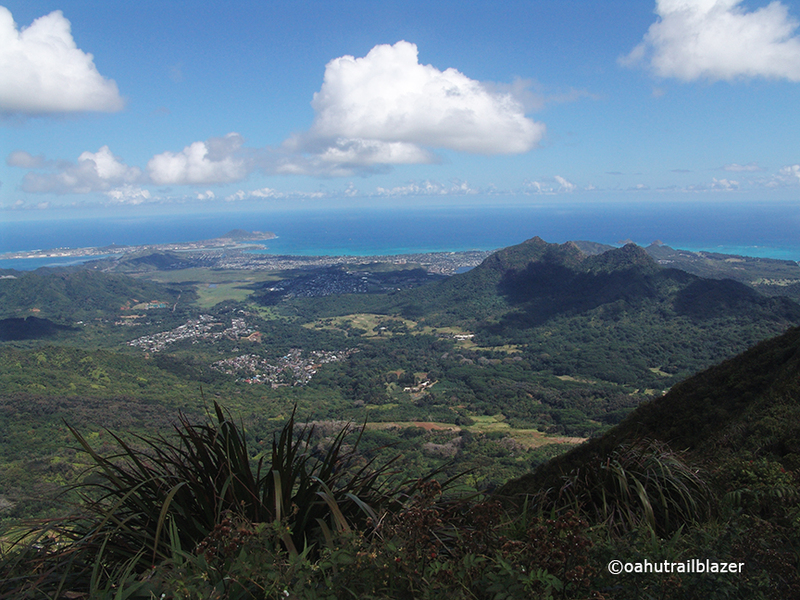 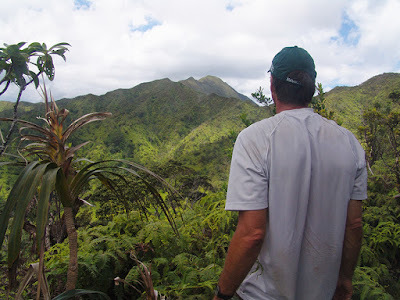 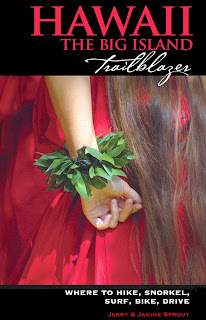 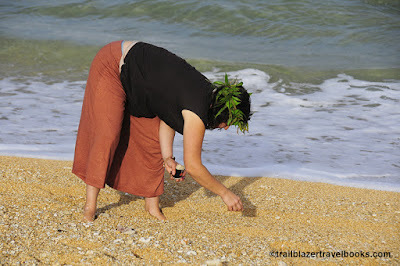 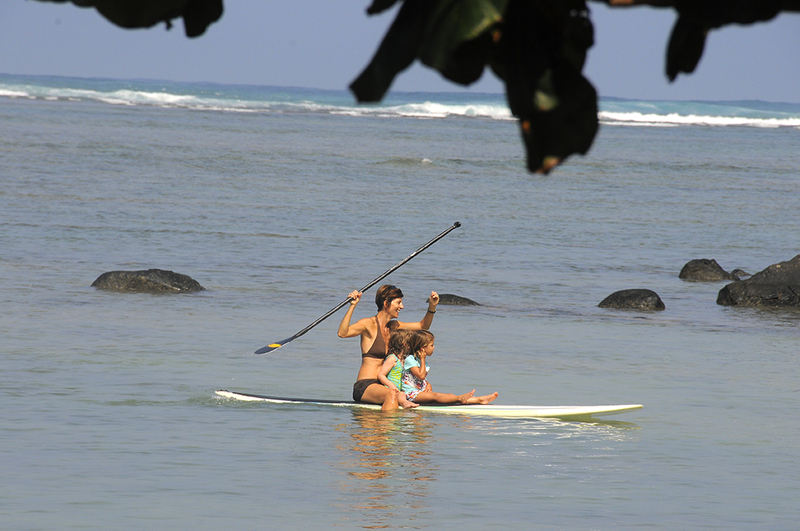 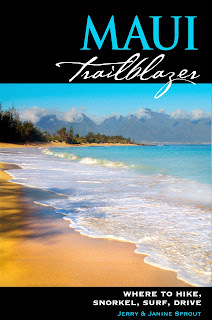 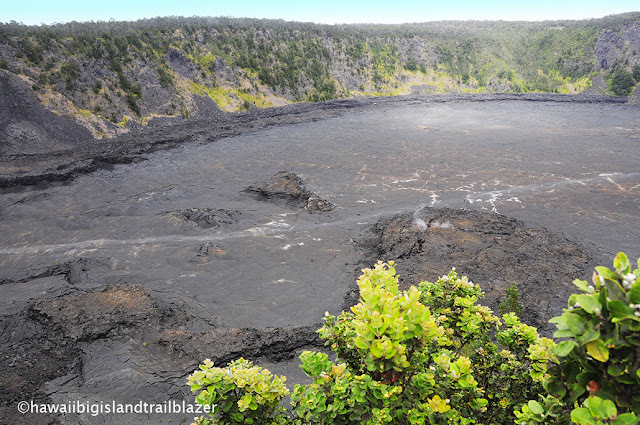 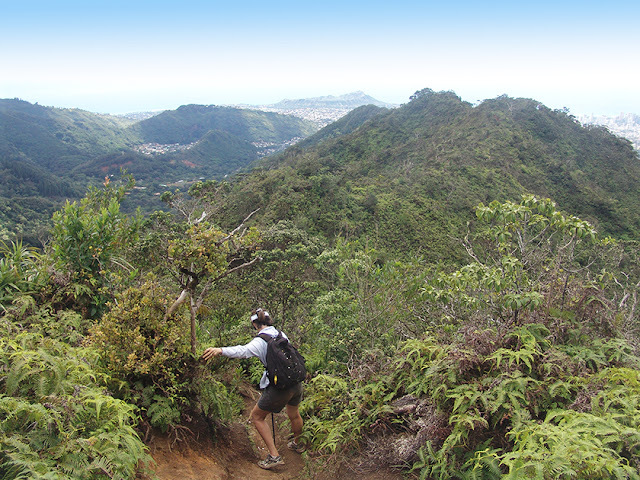 Kauai Trailblazer has the ins-and-outs on all the famous stuff on the island, as well as tons of places to call your own. 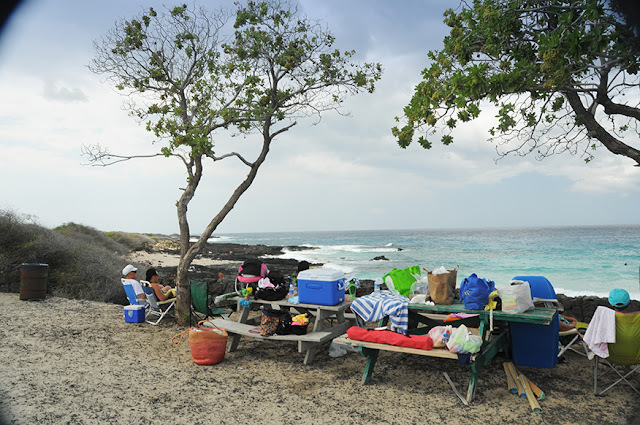 Fewer than ten years ago—and a thousand years before that—Kua Bay was reachable only by walking down a rutted, unsigned "road," located about ten miles north of touristy Kailua-Kona on the Big Island. Then a paved road, restrooms, and a bright Kekaha Kai State Park sign overnight turned the bay into a setting for a Beach Boys' song. 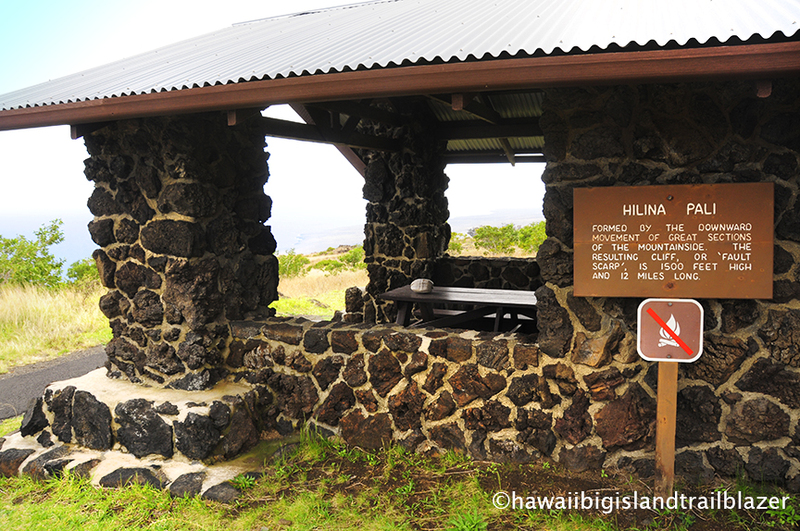 The park's few picnic tables each day are stacked with goodies that would have kept the villagers going for a month. 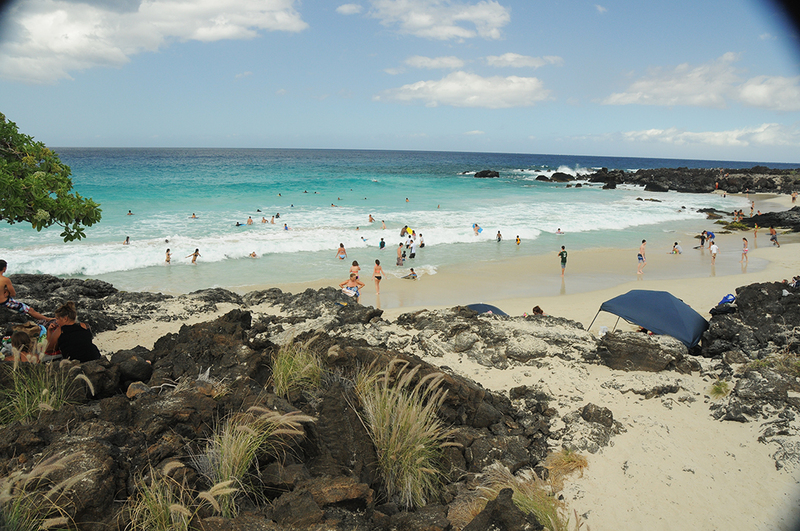 Ultra-blue waters and a usually gentle shore break lure swimmers and body boarders. 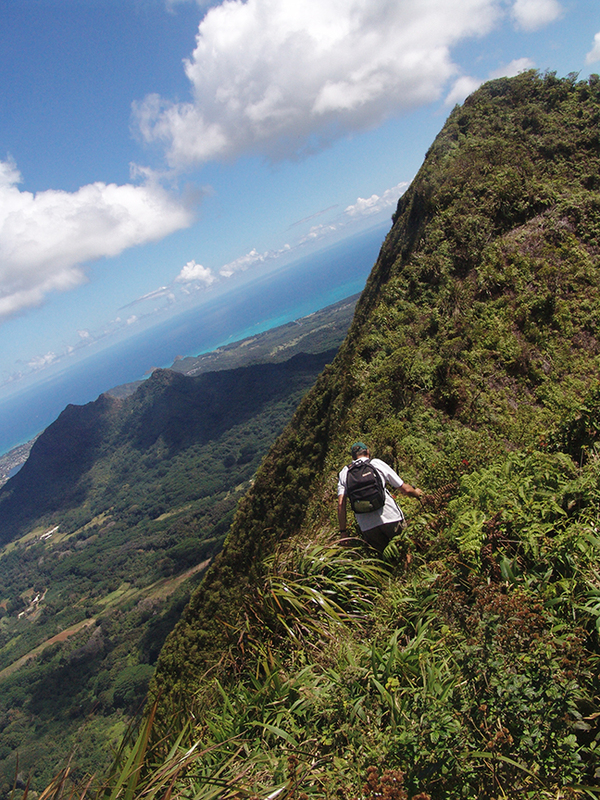 Board surfers love the right-break off the the bay's northern tip, Papiha Point. 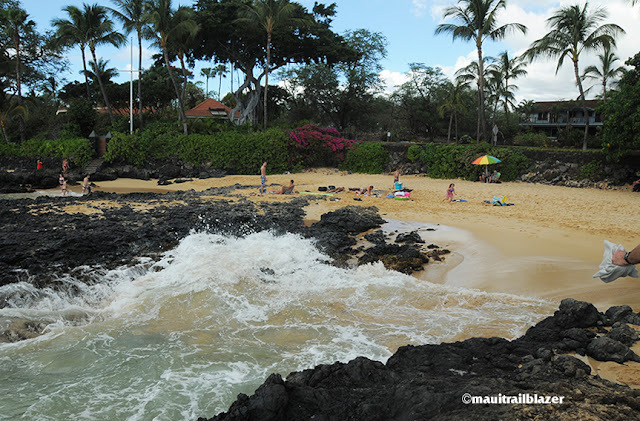 But be prepared: During the big winter storms, the sand is sometimes washed away, revealing boulders. 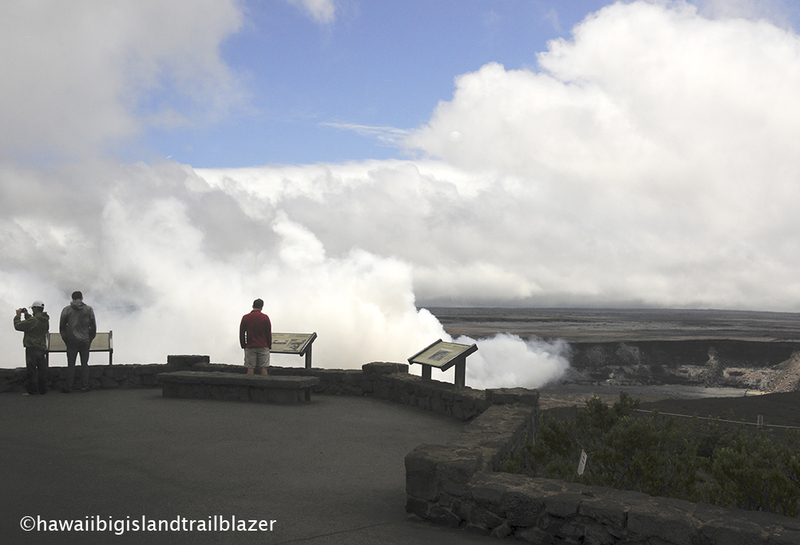 Even with the new popularity, visitors are only a few steps away from the old days. 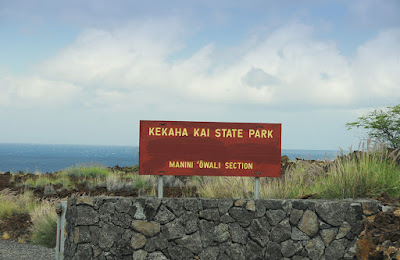 Beginning at a trailhead down a road behind the restrooms, a portion of the King's Trail extends northward a couple miles to Kikaua Point Park. 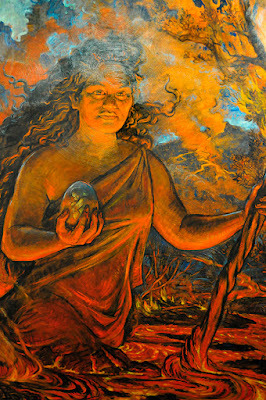 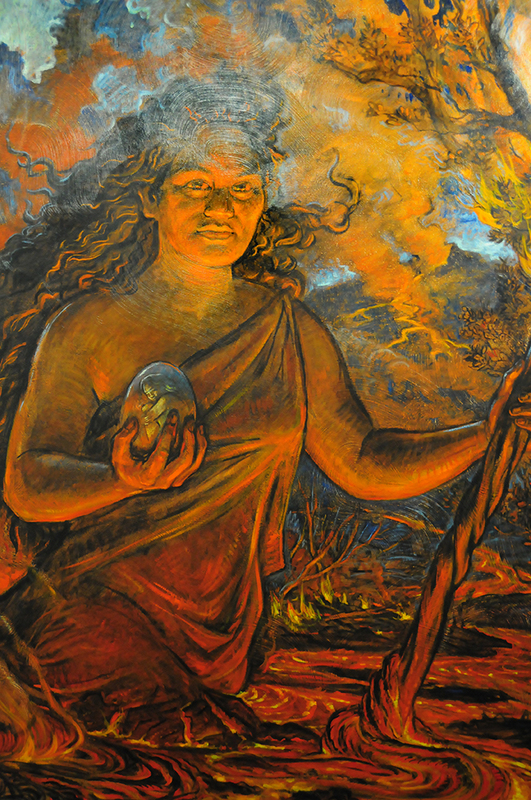 Much of the journey, through a hellish landscape of rough a'a lava, is aided by flat rocks placed by ancient Hawaiians. 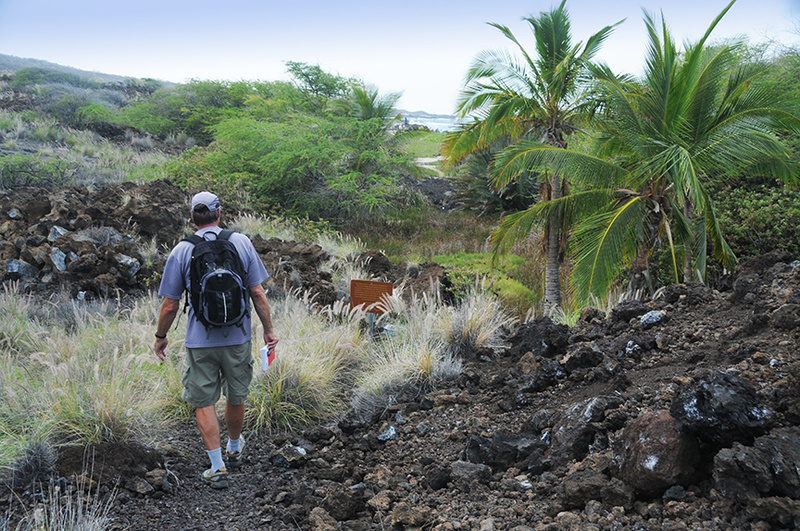 Another quick thrill is the walk to the top of Pu'u Kuili, a volcanic cone that is a landmark on the northern Kona Coast. 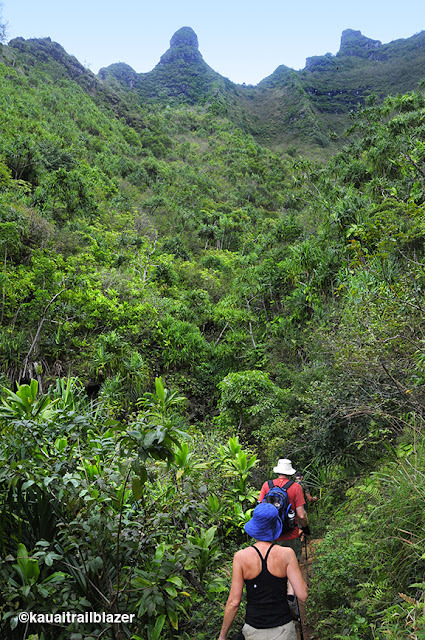 You need to climb about 300 feet in less than a half-mile to reach the summit. 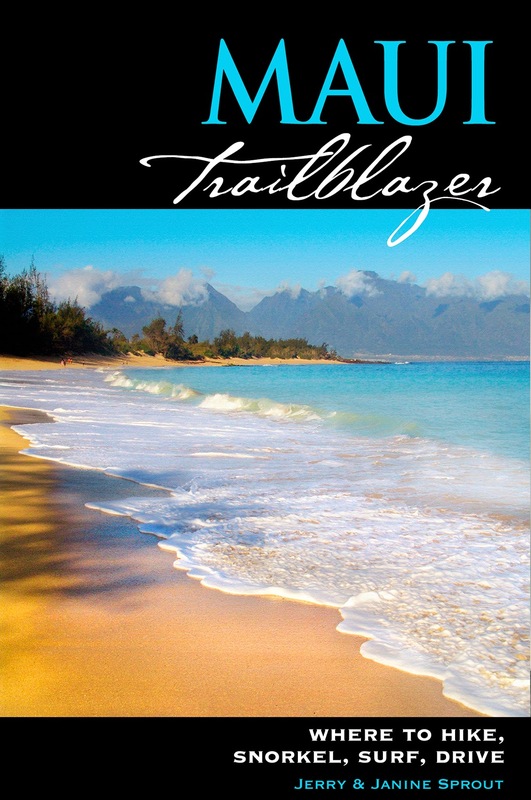 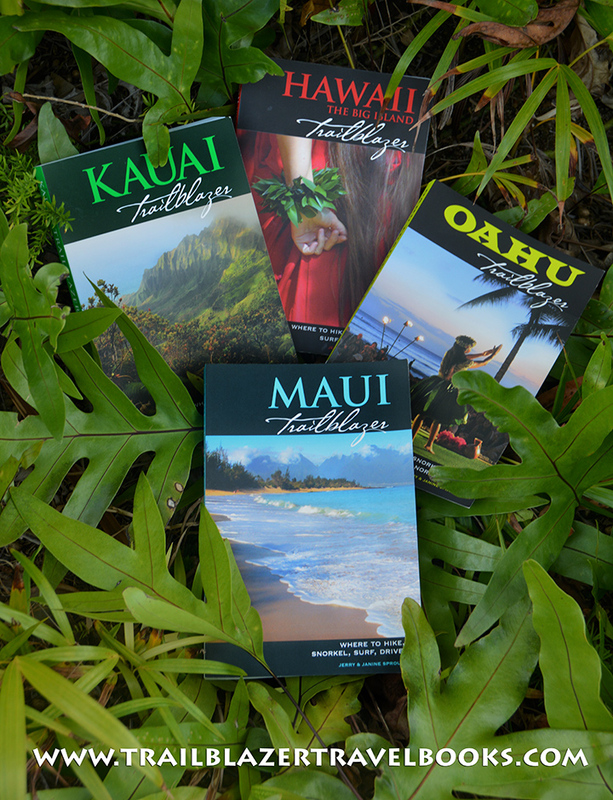 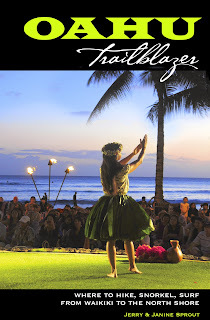 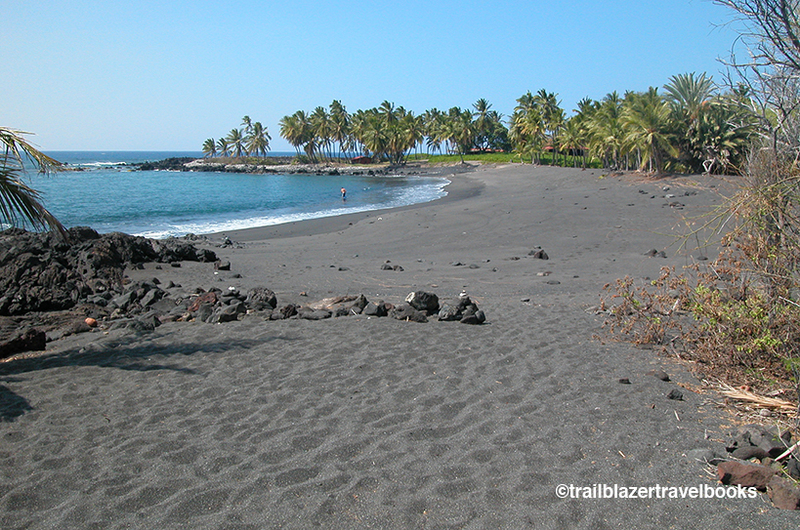 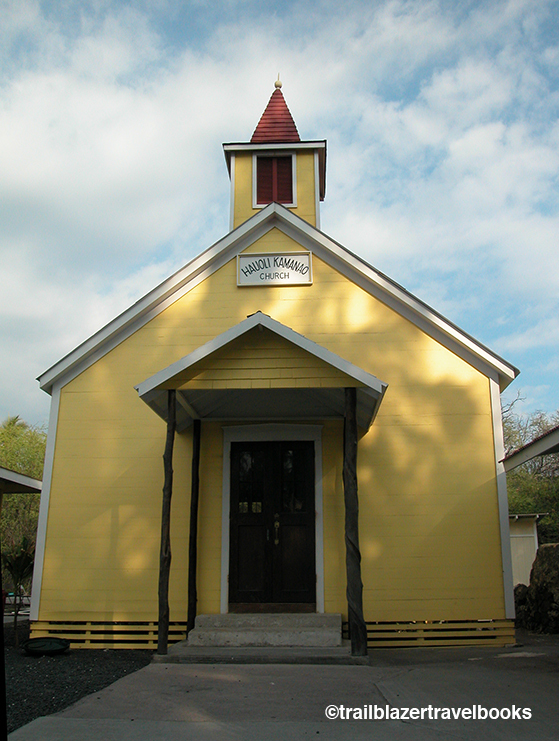 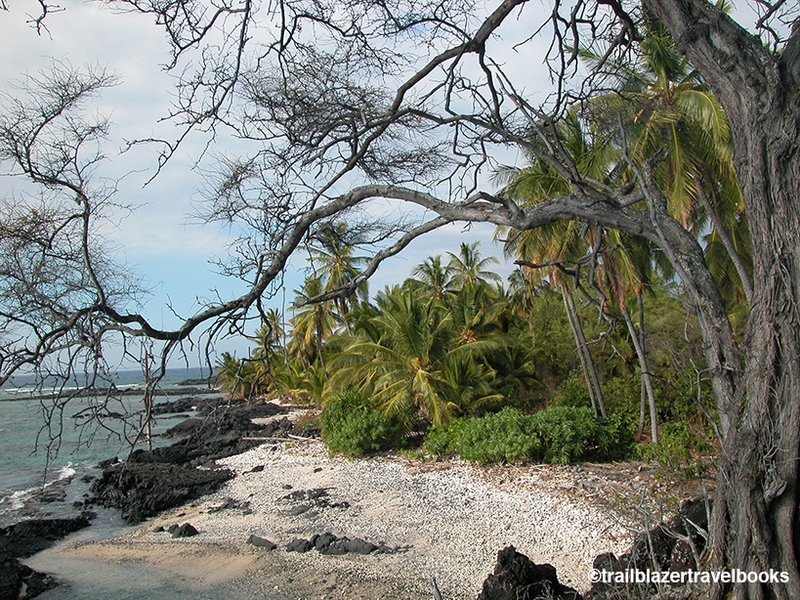 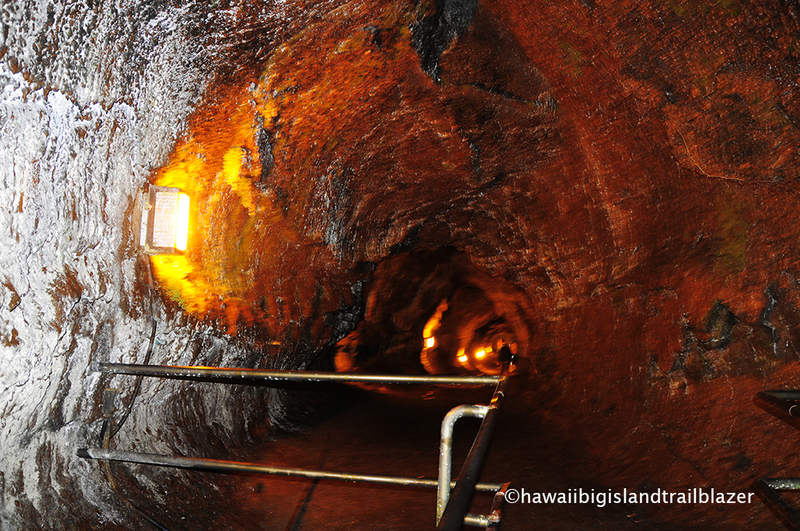 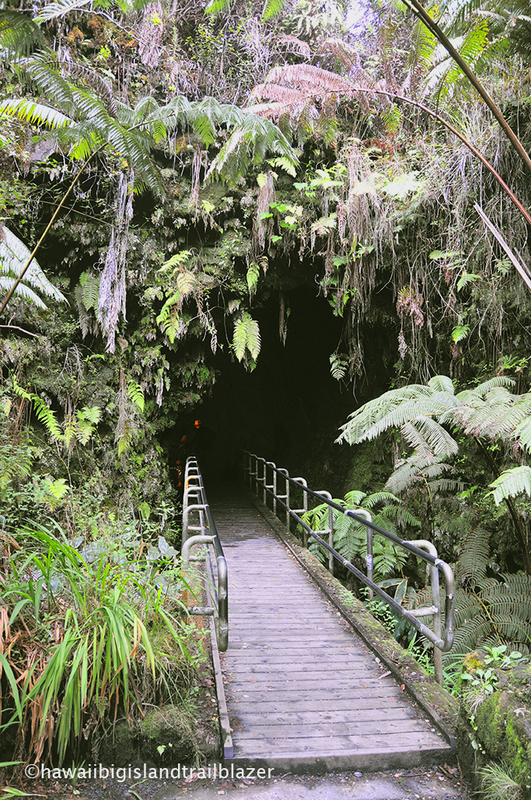 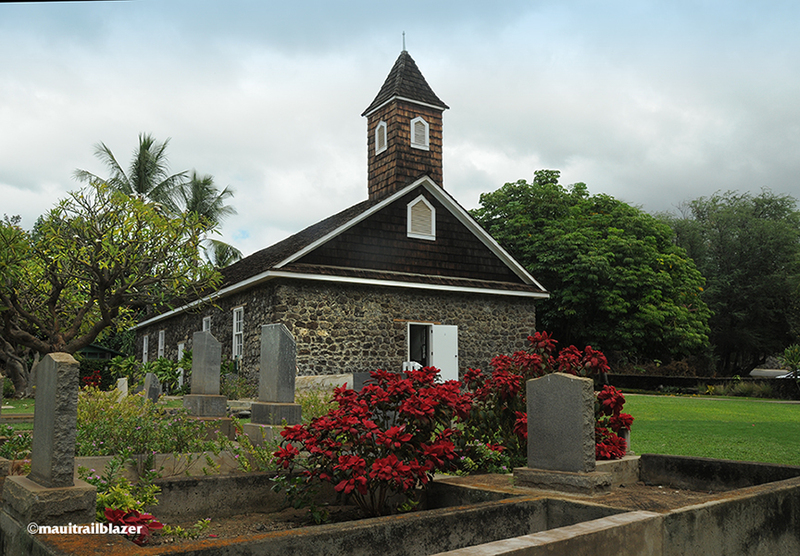 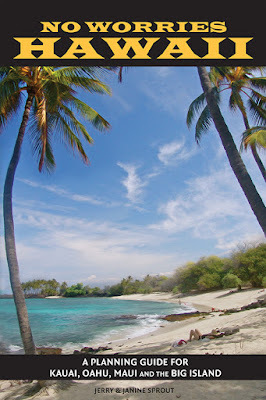 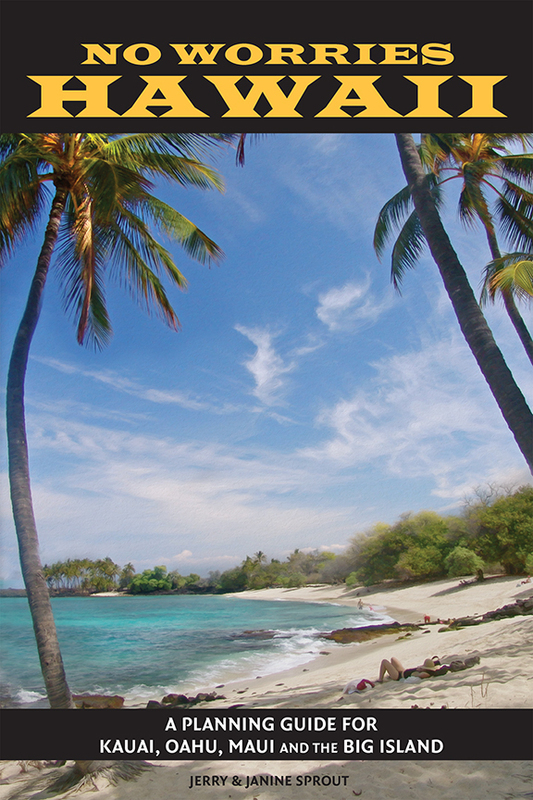 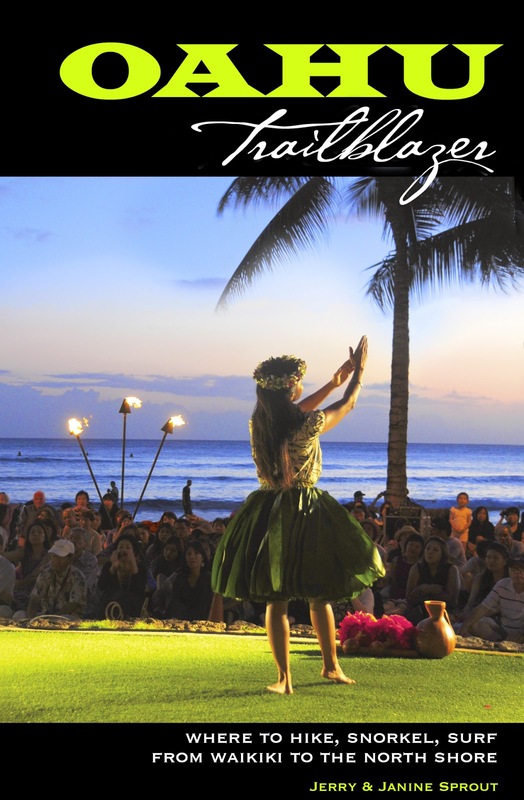 Hawaii the Big Island Trailblazer has detailed directions to all of the island's popular spots, as well as the quiet getaways that are hiding in plain sight.